Metal is closely associated with industry. However, it may surprise some to know that plastic is just as vital in the industrial world. Without it, many of the industrial advancements made in the past few decades would not have been possible. Plastic is used to protect workers, save money on equipment, and make tools more efficient. 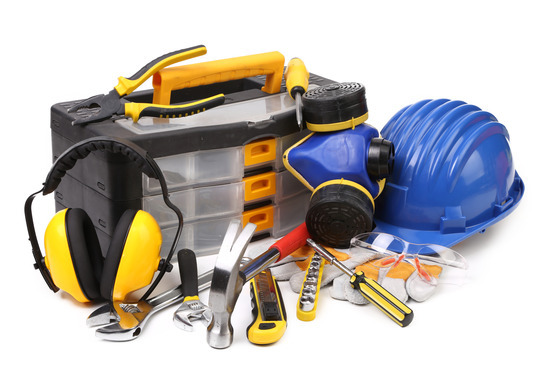 Industrial workers can’t go far without their personal protective equipment, or PPE. These include things like hard hats, face shields, and safety harnesses. Plastic plays a role not only in making these safer but also more economical and functional. The light weight of plastic, along with its durability, allows workers to move around safely without being weighed down by their PPE. Because safety equipment is so important and often required, there is a heavy demand on large quantities. Superior Plastics can help you produce personal protective equipment for your industrial customers quickly and efficiently. Industrial plastic injection molding speeds up production while allowing for little to no error. Superior Plastics has the capabilities of handling all your plastic production needs, even your customers’ large and complicated orders. Plastic is the most economical option for many types of industrial equipment. The cost of production and storing of most metals far outweighs that of plastic. This is especially true for large parts and products. Using industrial plastics rather than metal to make housings for machines and tools cuts the cost of production drastically. Plastic injection molding further saves on costs. Our staff at Superior Plastics works with you to create a mold for your plastic part using our advanced machinery. Then, the mold is filled with quality industrial plastics to produce your product. Our experience in plastic injection molding has given us the knowledge to get your products to your customers in a timely manner. Superior Plastics can also help you decide on the most cost efficient design of your industrial product. Industrial plastic parts are common. At Superior Plastics, we have helped design and produce pumps, machine panels, controllers, brackets, seals, and valves. Using industrial plastics provides more freedom in design. Metal is difficult to mold into the desired shape. Shaping metal is expensive and time consuming. When you design your industrial plastic parts, you don’t need to work around awkward pieces. Industrial plastic injection molding at Superior Plastics allows you to create a mold specifically for your product. Less kinks in the production stage of your product means your business makes more money in the end. Cost and efficiency is extremely important to your industrial customers. As an industrial supplier, you need to work with a company that is just as dedicated as you are to getting it right. Superior Plastics is the right company for the job. Call us today at 817-882-9595 for more information on the industries we serve.